Let me know who wants to do what, I will be putting seniority into the mix if more that one person wants a particular job....but hopefully everyone can participate. For Assistant GM I'm looking for someone who will be on here from 5 am est to 11 am est, it's not a deal breaker if you can't...but that would all but guarantee one of us are on here....and PMs work great for me...I have it set up so it sends an email to my phone when I get one so its basically a text message....if you need anything answers just shoot me one quick. Also if this get filled we can come up with other positions for you such as scouts. Each coach is in charge of scouting their position, each coordinator compiling that data into a report for the head coach, and the Head coach will work with me and the AGM. Hopefully everyone will participate, main goal this year is to keep it fun for us...too much to ask for all the other teams to do the same....some team will go all Crab Jensen most likely. If anyone needs an explanation for what I expect each job to do just let me know. The Eagles have signed CB Chris Hawkins (6-1), who last played for the Titans in 2011. He was out of football in 2012, and last played for TEN as an UDFA in 2011. It feels rather queer to know none of these moves henceforth are being made by Andy, at least in part. 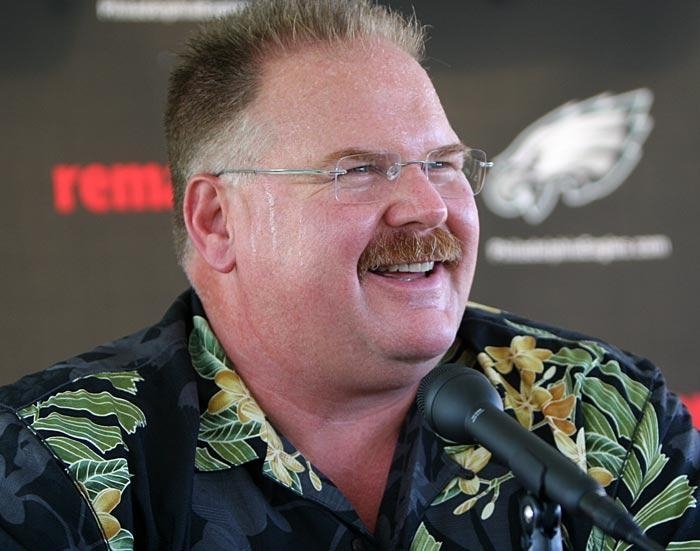 I have already been thinking how strange this draft will be... No Andy in his standard draft day XXXXXXL Hawaiian shirt trolling the trade down or reaching on the under dog, and his post draft interview with his big happy red cheeks and red mustache all proud in Hawaiian shirt like a big Walrus who just won first mating rights. Him and Carebear running it would be a sight to see. I don't know....I think we ourselves could keep it fun....especially with our picks and amount of impending change it'd be interesting this year. and all of the credit? Yeah 4th overall should make it fun. Carebear would want to draft PE or Howie to play for us. I'm going to miss that more than anything else. We should do a tribute this year! Welcome back UK. The calendar turns to a new year, and your presence will be seen for the first two months or so. UKEF is only here from January thru the draft - he's like our very own Mike Mayock (or Charles Davis).